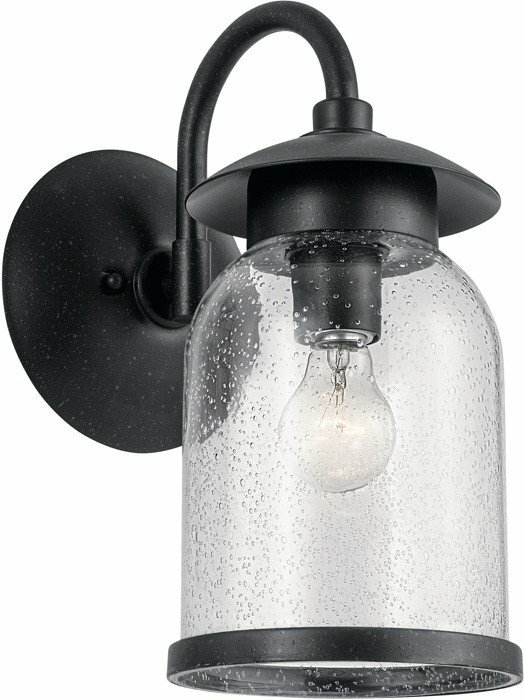 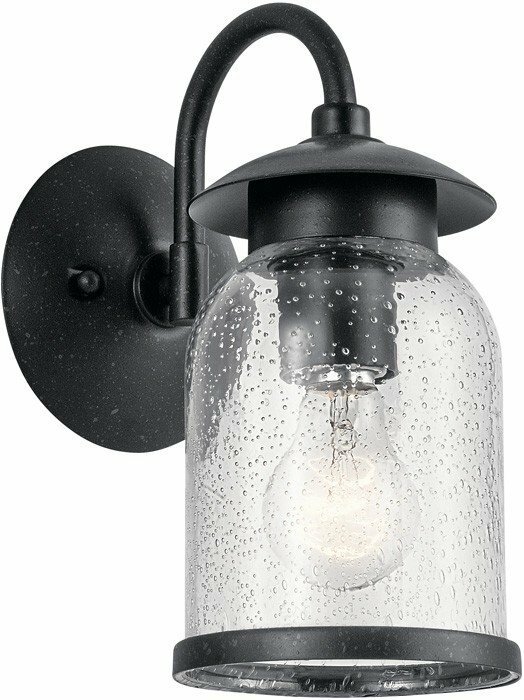 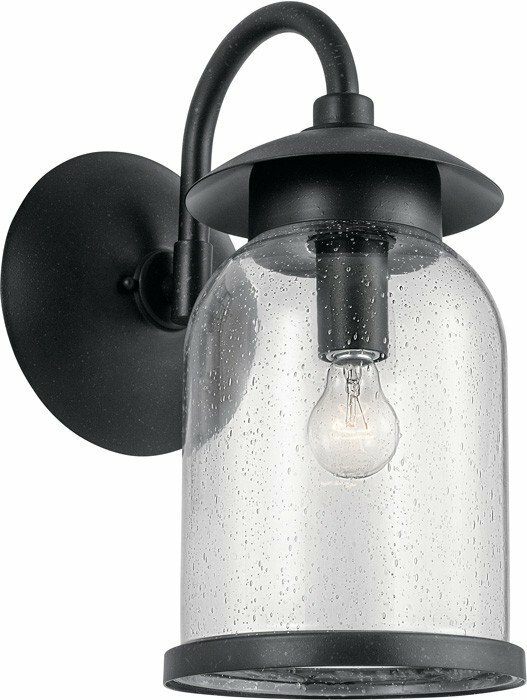 A fun take on the iconic cloche, the 14.75" 1-Light wall light from the Hugo collection brings this decorating staple outdoors. 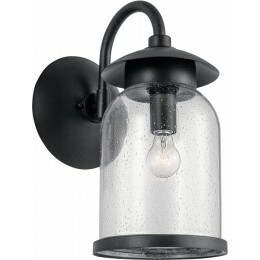 The bell-shaped glass dome shades feature a seeded effect to help diffuse the light. The rustic distressed black finish gives each piece a warm, classic feel.